Python Articles, Tutorials, Projects, Videos, Tweets. 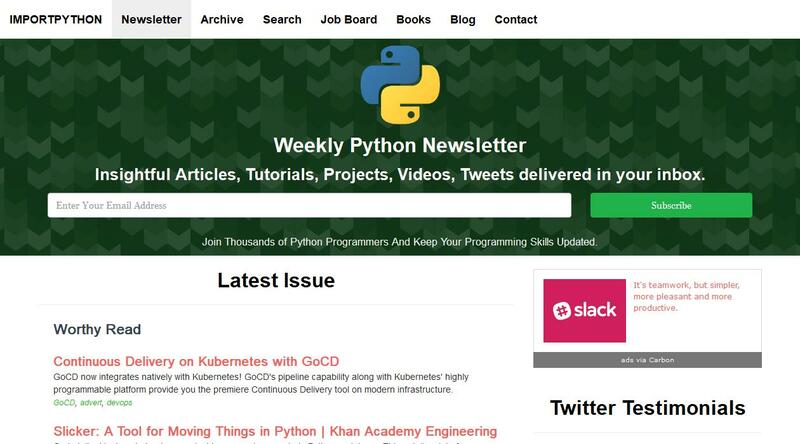 Insightful Python Articles, Tutorials, Projects, Videos, Tweets delivered in your inbox. Django Articles, Tutorials, Projects, Videos, Tweets.